The Animas ezManager MAX Diabetes Management Software, installed onto a patient's or healthcare professional's personal computer, allows downloading and uploading of information to and from Animas insulin pumps and specified commercially available blood glucose meters. The software displays downloaded historical data stored in the pump and blood glucose meter such as basal/bolus deliveries and blood glucose measurements. The data can be displayed in reports and logs to facilitate trending and diabetes management. The Animas ezManager MAX Diabetes Management Software is indicated for use as an accessory to Animas insulin pumps and specified commercially available blood glucose meters. The software supports diabetes management by the patient and/or healthcare professional by allowing for the review, analysis and evaluation of insulin delivery and blood glucose history information. The Animas ezManager MAX is substantially equivalent to the legally marketed predicate, Animas ezManager Plus. Both devices have the same intended use and fundamental scientific technology. I understand it is legal double speak to get an FDA blessing to market the product, but substantially equivalent isn't exactly what I want to hear. Substantially rewritten from the ground up and only similar only in name would be much better. "Substantially equivalent" is more than legal double speak to get an FDA blessing to market the product, it involves years saved and potentially millions of dollars. One could make a fairly compelling argument that virtually all diabetes devices and insulin products today are really only "substantially equivalent" rather than fundamentally new. In fact, based on this definition, only one new product approved during the past 25 years -- Symlin (pramlintide acetate) meets the defintion of a new product ... the rest are little more than "new and improved" versions of the same old thing ... if commercials for Bounty paper towels come to mind here, you are getting the right picture ... the idea is to make money from doing as little as possible, rather than doing anything fundamentally new -- welcome to the pharmaceutical and medical device business! Or Scott the idea is to do something fundamentally new and call it substantially equivilant to save the paper work. Maybe those Bounty towels are more than New and Improved. I don't care what the FDA application says just don't pawn off 90's access applications as a software solution for 2009 and beyond. Unfortunately the FDA is completely focused on safety (including reliability) and efficacy. Design, ease of use and many other usability and experience factors don't rate. I can understand the FDA's perspective on this because you can't measure what I'll call delight factors. I just wish the marketplace (others beside a small number) were more demanding. My problem with the earlier version of software was it didn't pass muster on my efficacy test and crashed and burned on the safety test too. Wow! What an device US FDA has introduced with this equipment we can download and upload information regarding Diabetes and insulin level in the body. 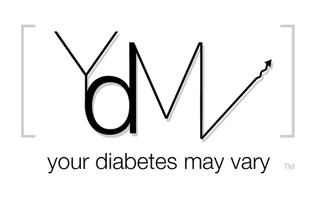 Awesome blog regarding Diabetes Management.